We start at the Alfama, the oldest part of Lisbon where the castle is situated. Your downloadable tour of Lisbon will tell you about the great Portuguese King Alfonso Henriques who took the castle from the Moors and turned it into what was to become the royal palace for over 400 years. We'll explain where the name Alfama comes from and show you the Moorish influence in the area. Our walking tour of Lisbon will then guide you to one of the best views across the river Tagus before leading you down to the city's cathedral, the Sé. We'll tell you what to look out for inside. Recent excavations at the Sé have unearthed some amazing ruins dating back to Roman times and we'll tell you more about them. St Anthony of Padua is a favourite saint of Lisbon and you'll hear about the touching ceremony that Lisboetas, as inhabitants of Lisbon are called, regularly carry out in his honour. Then it's off to a completely new area, the Baixa. The Lisbon earthquake of 1755 completely destroyed most of the city and we'll tell you about the tragic irony that made it particularly devastating. The Marquès de Pombal rebuilt most of Lisbon following the devastation and you'll see what exactly he did as you hear about the details on your audio tour of Lisbon. 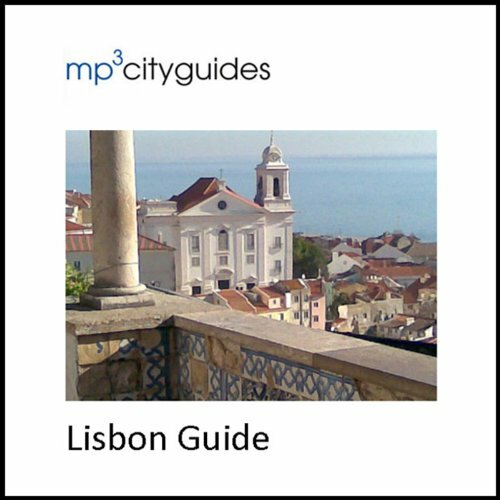 Our guide to Lisbon then moves on to the Bairro Alto. We'll show you the Igreja de Sao Roque or the church of Saint Roch, the patron saint of plague victims. This church might seem plain on the outside but inside it's a riot of colour and decoration. We'll tell you the extraordinary story of the chapel of St John the Baptist in the Church of Saint Roch. The Elevador de Santa Justa, which is next on your walking tour of Lisbon is one of the remarkable - and very decorative - ways which Lisboetas have devised to get around their city.